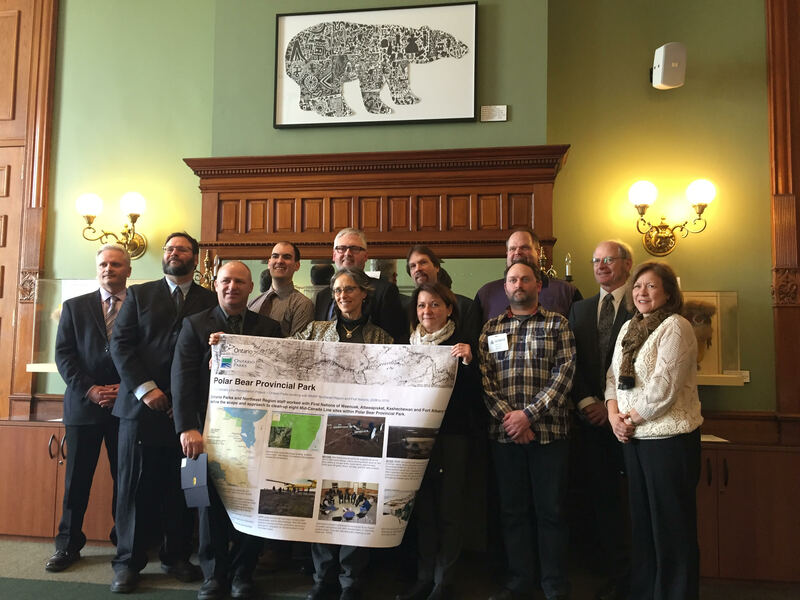 Toronto, ON, February 9, 2017 The Environmental Commissioner of Ontario (ECO) presented staff from Ontario’s Ministry of Natural Resources and Forestry (MNRF) today with its ECO Recognition Award for the ministry’s role cleaning up an abandoned radar site in Ontario’s largest and northernmost provincial park. Over several years, ministry staff, with support from local First Nations communities and the federal Department of National Defence, planned and implemented a remediation project to clean up Mid-Canada Radar Site 415, an abandoned Cold War-era radar installation in Polar Bear Provincial Park. 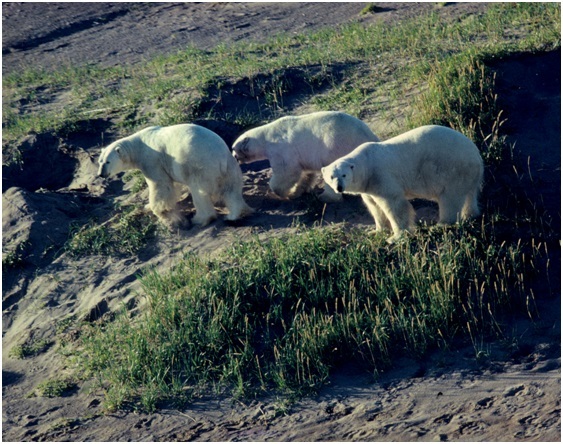 The 2.3 million hectare park, established in 1970, is located along Ontario’s Hudson Bay and James Bay coasts, and is home to polar bears, caribou, seals and beluga whales. Polar Bear Provincial Park also contains the world’s third-largest wetland, which is globally recognized for its importance to migratory birds. During the Cold War, Canadian military constructed several radar sites within the boundaries of what is now Polar Bear Provincial Park. Abandoned in the mid-1960s, for decades these sites blemished the landscape with derelict, contaminated buildings of steel and cement; abandoned vehicles and equipment; radio towers and massive radar screens. Additionally, the deserted site contained barrels (some that still contained gasoline and oil), garbage dumps, hazardous and non-hazardous waste (e.g., asbestos, mercury, and oil) and contaminated soils. of on-site work. The Mid-Canada Line action team cleaned up several dilapidated buildings, leaking generators, vehicles, tractors and refuse dumps in the provincial park. •	280 tonnes of PCB-hazardous soils and debris. 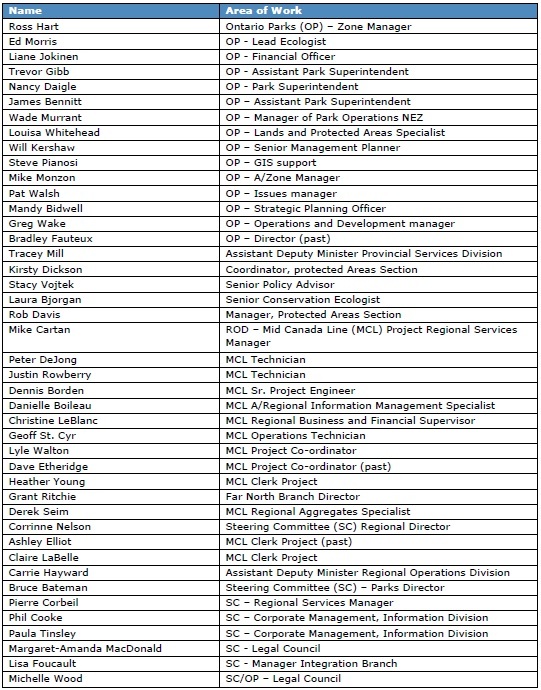 The Environmental Commissioner’s Recognition Award recognizes Ontario civil servants for their work on projects that are innovative, go above and beyond legal mandates, better Ontario’s environment, and that meet the requirements and purposes of the Environmental Bill of Rights, 1993 (EBR). This year’s award winner was profiled in Volume One of the ECO’s 2015/2016 Environmental Protection Report, Small Steps Forward.